It's Monday once again! So we've gone through our OOTD uploads from the previous week and have picked our Top 5 favourite looks from our Fashion Community! Click through to see if your #ootd made the list! Leather skirts bring quite a bit of edge and attitude to a look. Sweeten it up with a bright floral crop top and a pair of sunnies. It may be time for Fall fashion but we will never stop loving summer-themed dresses. This pastel yellow and white flare dress is a welcome change from the darker Fall hues. Who says you can't enjoy summer all year round? When you want to make a statement with your outfit, let colour be the focal point to your whole look. We're loving this royal blue midi skirt paired with a black top and sandals. Plus points: Royal Blue is one of the trending colours for Fall 2014! 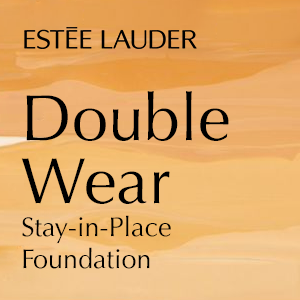 Here's another way to wear colour without worrying about the colours clashing. Revolve your choice of colour based on a statement piece, like how this bright yellow skirt with pastel flower details goes amazing with a pastel pink top. It seems like our Fashion Community is never one to shrink from a challenge. We spotted another take on the denim-on-denim look. This is a more subdued way to wear denim, pairing ripped jeans with a soft denim blouse. Our Featured Fashionista for October! 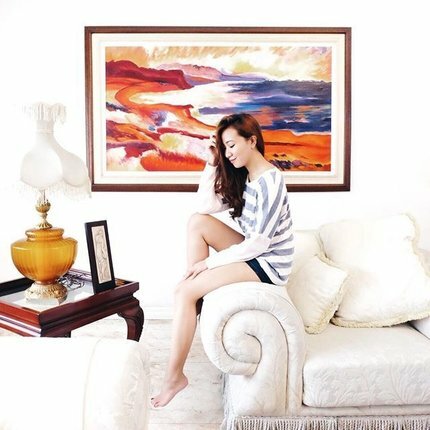 October marks the time when the fashion season changes from the bright colours of Summer to the more moodier hues for Fall. While the weather in our region isn't exactly apt for coats or thick jackets usually synonymous with Fall, our savvy fashionistas have brought their own take on Fall fashion by adapting the trend to suit the tropical climate of Southeast Asia. 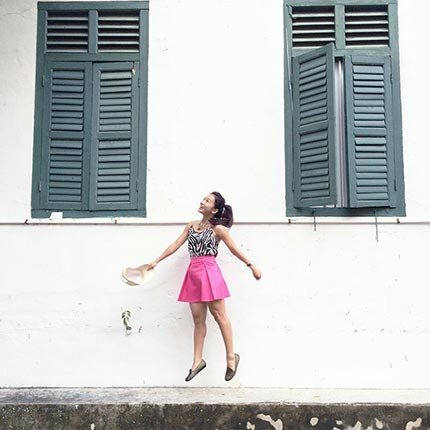 So we sat down with our Featured Fashionista for October, Adele (axdelwen), and got her talking about her style, what she loves the most about Fall fashion, and how she adapts the trend to suit Singapore's humid weather. I like to experiment with as many styles as I can. However, I usually gravitate towards grunge. I love monochrome, a good leather jacket, and booties. I enjoy adding a bit of edge and attitude to an otherwise girly outfit. What is the trend you love most from Fall 2014? Sneakers! They're so comfortable and convenient especially since I don't own private transport. So all those running after the bus wont be much of a problem. What is your favourite Fall fashion trend of all time? Coats are the best part of Fall, they give outfits more oomph! Layering pieces also brings more dimension to the look. Like a blouse can be made more edgy by just adding an army jacket. How do you plan on incorporating Fall trends to match the weather in Southeast Asia? No thick, furry coats for us! But there are always other coats that are more appropriate for our tropical climate. 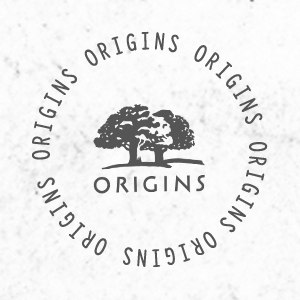 We can actually find trench coats and parka that are made of thinner material here. Those are easy to wear and are very good for layering. Do you have a particular go-to piece that you bring out whenever the fashion season changes? Accessories! Because items such as rings, necklaces, and bracelets don't change even when season changes, so it's fun to play around with them and adapt them to whatever look I'm in the mood for. 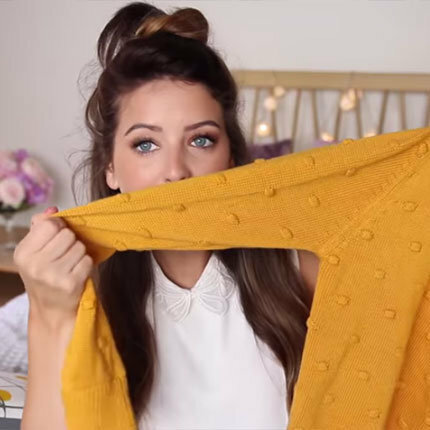 How will you be styling Fall trends, Clozetters? 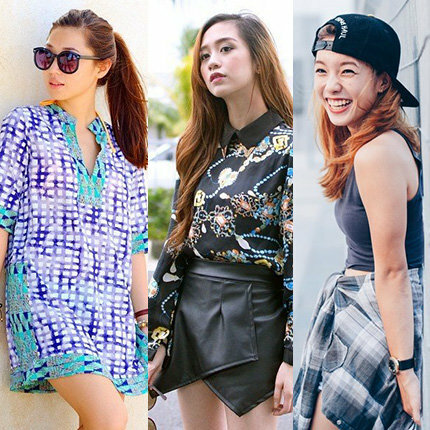 Upload your Fall OOTDs to our Fashion Community! 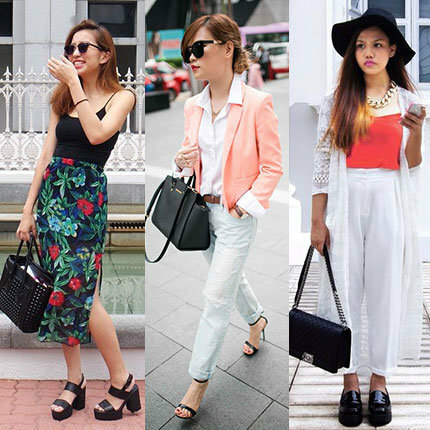 It's monday once again and a whole week full of fabulous OOTDs from our Clozetters has gone by. So it's time for another OOTD Roundup! 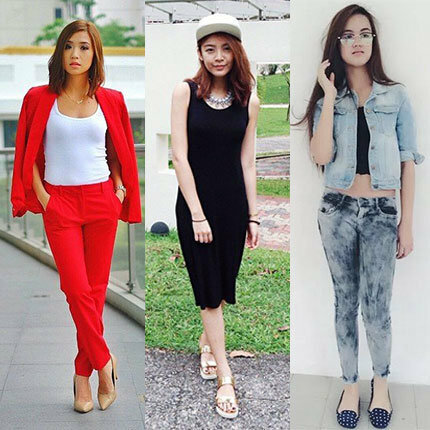 Here are the Top 5 OOTDs we loved last week. Did yours make the list? When you've planned a night out with your best girl friends, an all black ensemble never fails. This side slit skirt paired with a crop top and chunky platforms definitely makes the notion of the little black dress seem almost obsolete. After all, who needs an LBD when you can create a sleeker silhouette with this two-piece ensemble? A couple of week's ago, we featured Pamela's denim-on-denim style and this week's we've spotted another take on this denim trend! 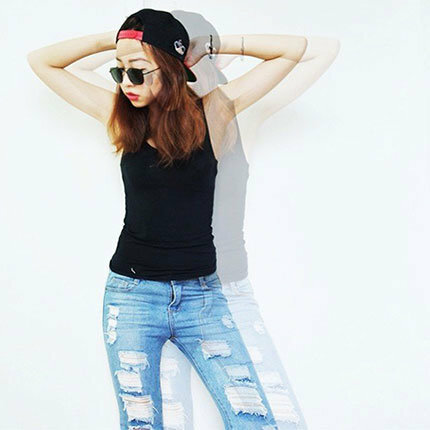 Honeyflowerr's denim-on-denim ensemble features head-to-toe denim in a similar colour and texture--even down to its distressed details. This is a look that brings out the inner 90s child in all of us and we're totally loving it! Do you fancy yourself a flower-child, hippie, festival goer? Then this is an ensemble that'll catch your eye. Not only does it seem extremely comfortable making it the perfect outfit for shuffling through the festival crowd without feeling too restricted (hello, loose fitted crop top! ); but the blend of monochrome textures and patterns give you an effortlessly chic aura--like you woke up and threw on a bunch of pieces together and walked out the door without a care in the world. Jumpsuits are the go-to piece for days when you don't want your clothes getting in the way of life--perfect for days when you're running around with a bunch of errands to accomplish. We're loving this pairing of a black jumpsuit with an adorable watermelon printed shirt that adds just the right amount of cutesy-fun to an otherwise sleek ensemble. Doesn't pastel-on-white ensembles just make you want to melt? The pastel and white colour combination is a sophisticated take on the pastel palette from childhood. We're loving this white midi pencil skirt with sheer striped detailing paired with a pastel blue crop top and white heels.